MAGNIFICAT - a song of hope, was organised by Christ University on 1 and 2 December 2012. 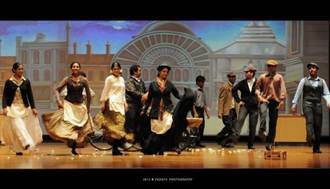 My Fair Lady:: Antardwand brings Broadway to Christ University! After the successful staging of The Bengali classic ‘Chokher Bali’ last year, Bangalore’s theatre group Antardwand is celebrating the 100th year of George Bernard Shaw’s ‘Pygmalion’ with a musical adaptation of the book and a popular classic, ‘My Fair Lady’ on 20th January, 2013, Sunday at 5:30 p.m. at the Christ University Main Auditorium. The story revolves around Eliza Doolittle, a Cockney flower girl and Professor Higgins, a misogynistic and snobbish phonetics expert who agrees to a wager that he can take a flower girl and make her presentable in high society. Eliza takes speech lessons from the professor so that she may pass off as a well-born lady. 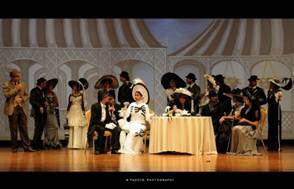 My Fair Lady is a comical journey of transformation of Eliza Doolittle from being a common flower girl to being a lady! The 50-member cast and crew is all set to enthrall the audience with an entertaining show involving live singing, dancing, and an authentic portrayal of 40’s Britain from costumes, backdrops to British accents, providing a true Broadway experience! In our constant endeavour to facilitate students in their career path by making them industry ready Christ University signed an MOU with SAP, India Ltd for academic partnership. The academic partnership extends to three distinct programmes of Christ University Viz. With this MOU the students pursuing the above mentioned programmes will be equipped to explore the opportunity as “Sap Consultant”. As consultants they will provide expert advice for all the large companies across different verticals that intend to implement SAP ERP software. SAP courses will be conducted in the campus with the state-of-art Learning Management System. The duration of this course is 200 hours. Christ University was represented by the Vice Chancellor, Dr Fr Thomas C Mathew, Registrar, Dr Anil Joseph Pinto, Chief Finance Officer, Dr Fr Varghese K J, Director, Evening Programmes, Dr Fr Jose C C, and Dean of Commerce and Management, Dr Satinder Singh Duggal. SAP team was led by Head Education, SAP India Subcontinent, Ms Mageshwari Ramaiah, Head SAP UAcademy India Subcontinent, Mr Philip S, and CEO , Clockwork Solutions, Mr Badrinath. There is a compelling reason for the student to gain an additional certification along with their degree to succeed in this competitive job environment. 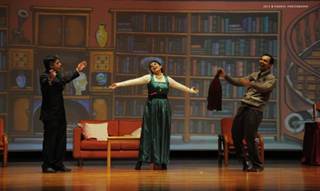 The School of Law, Christ University Presented William Shakespeare's Spectacular Tragi-Comedy THE MERCHANT OF VENICE on 8th December 2012 at Christ University. accompanied by his wife Dr. Beth Ungar, MD.